LUDO Gallery is proud to curate and present Violet Exhibition by Jennifer Chalklen. Jennifer is a contemporary realist artist from New Zealand who began painting portraits and figures with oil colour approximately 3.5 years ago in Jakarta, Indonesia. Her style can be described as whimsical, ethereal and forlorn. In her latest works for her upcoming and first solo exhibition in Singapore, Jennifer blurs the layers of consciousness, to create her own style of visual storytelling. 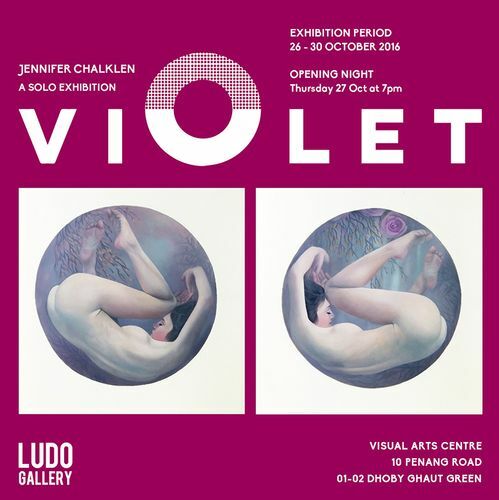 Join Jennifer on the opening night of Violet, Thursday 27 October, 7pm - 10pm.